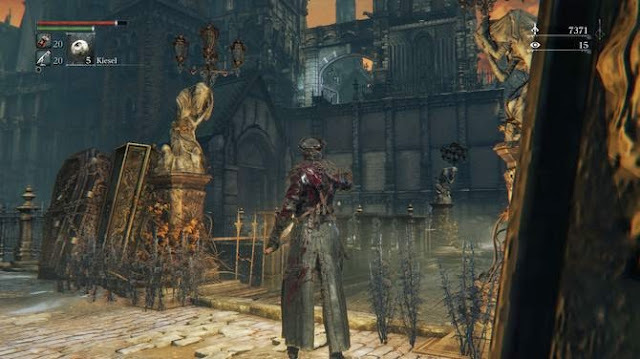 Viola's daughter is a NPC, you can find her in the center of Yharnam. The little girl Quest Line can assist you in the boss battle against Father Gascoine. To find Violas daughter, you have to take a little detour on you. Make your way to the sewers and walk there from everything until you arrive at a small square with a troll. The troll guarding a ladder that leads you to Viola's daughter. Talk to the little girl. She tells you about her family and gives you a little music box. This jukebox can you use in the fight against Father Gascoine to stun him temporarily. To do that, you have to be measured to you with Father Gascoine in combat. Did you beat him, you will find near Viola's corpse. Examines these and you'll get the Red brooch. Before you return to Viola's daughter, you should discover the Cathedral District. Now returns to the girl. You can decide whether you're the girl shows the brooch and thus reported that his mother is dead, or rather retain this information for you. Chooses her to you to keep the brooch, you can out of this later produced a gem, can improve with her your weapon. In addition, you can send in the Oedon Cathedral Violas daughter. Have you sent the girl in the cathedral Oedon or given her the brooch, the quest line continues. After a time the girl will go and die in the great pig in the sewers. Defeat the beast in order to find a loop that had belonged to the girl. Now you have to Rome, defeat the mindless spider before you can continue. Have you defeated Rome, returns to the house where the little girl had lived. Your sister is waiting for you. They ask you about finding her little sister. Knowing that this is dead, the sister gives the loop. The final step is to recharge the area, for example, by restarting the game. Take the head of the house of the girl to climb down. Below you will find a white bow - the older sister has committed suicide.